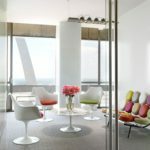 We’re big fans of DIY home decor and we can’t stress enough how important it is to personalize a space in order to truly make it feel like you belong there. 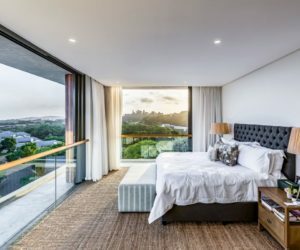 A home’s interior decor should be a faithful representation of its owners’ style and character so what better way to ensure that than by crafting some of the accent pieces and the decorations yourself. 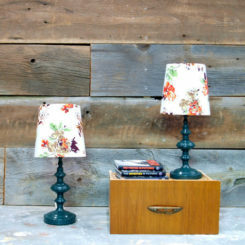 A DIY lampshade is one of the items with great potential for customization. The design possibilities are pretty much endless. 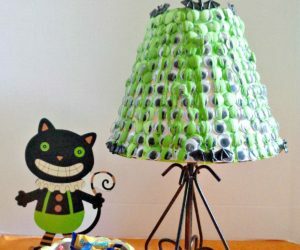 We’d like to tell you that this lampshade can actually look cute but the truth is it’s spooky no matter how you look at it and this makes it a perfect craft for Halloween. 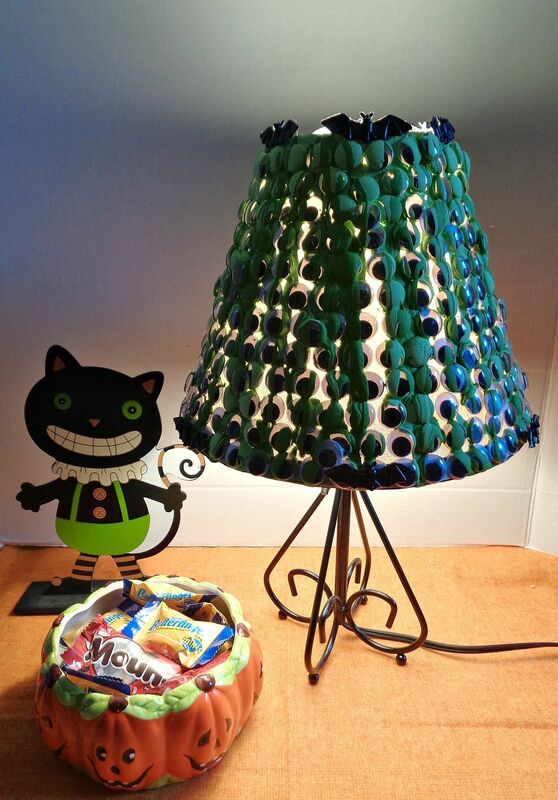 To make something similar you need lots and lots of googly eyes. 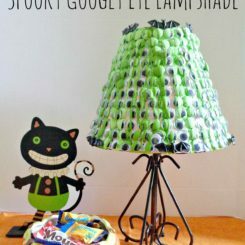 The green paint and the bats are optional but highly recommended if you want this spooky lampshade to actually look scary. 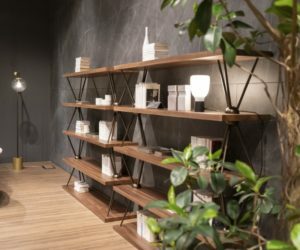 You’re probably thinking you need a bunch of things to put together a lampshade but that’s not always the case. 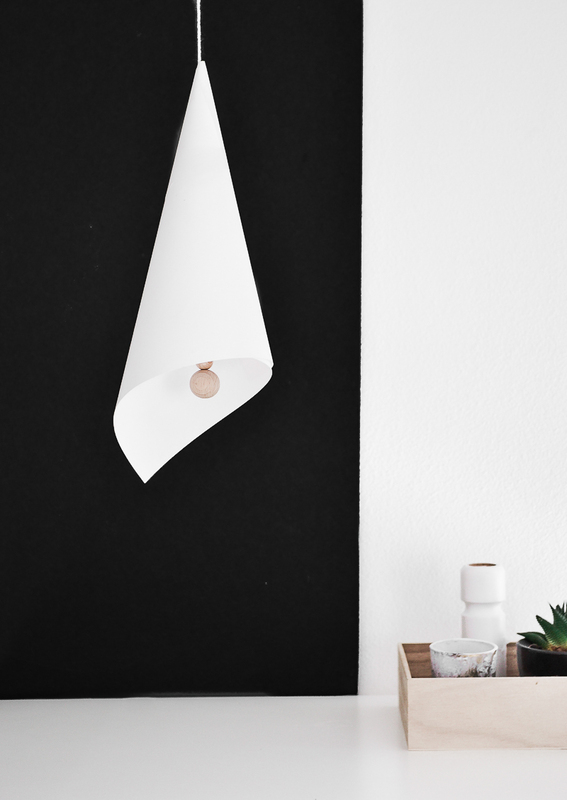 This folded lampshade is the perfect example. All you need here is a thick A4 piece of paper, some string, a few wooden beads and double-sided tape. 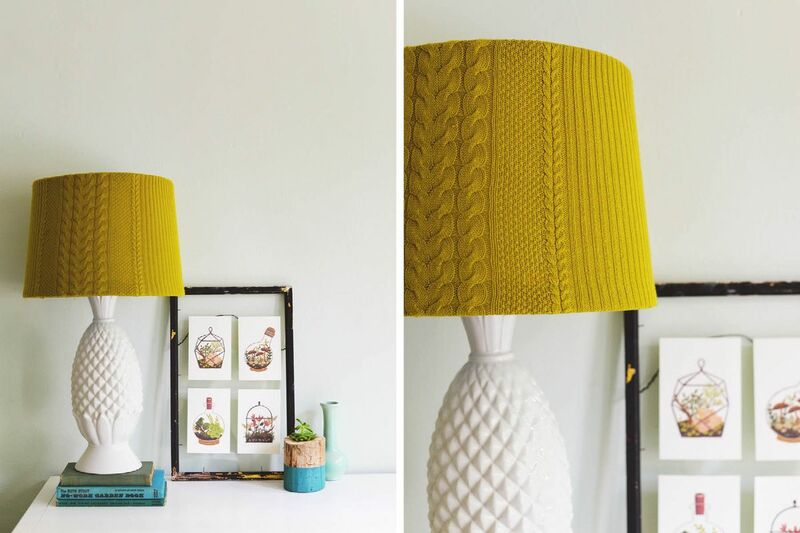 It’s one of the easiest and most elegant and stylish DIY lampshades ever. 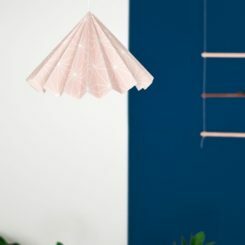 You’ve seen how you can use paper to make a chic lampshade so now it’s time to check out a similar project which involves fabric. In this case you need a few more supplies which include lampshade rings, a self-adhesive panel, strong double-sided tape, cotton fabric and a tucking tool. 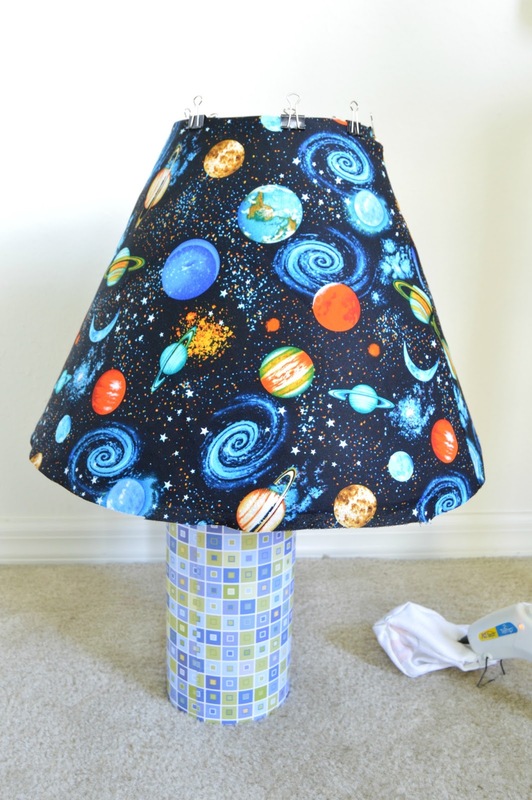 You might be able to improvise if you’re missing some of these things and also to personalize the design of this fabric lampshade according to your own ideas. 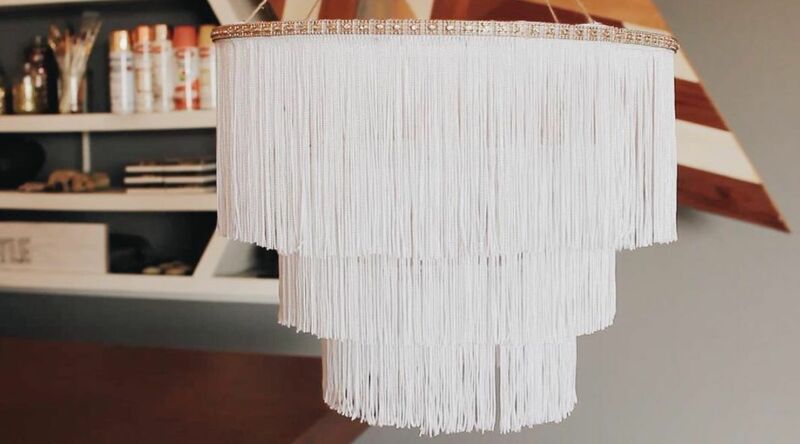 To make things easier, you could try to repurpose a few things, like a woven basket which could successfully be turned into a lampshade with only a few small modifications. Basically you just need to cut out a small square into the bottom of the basket so you can fit the socket through. 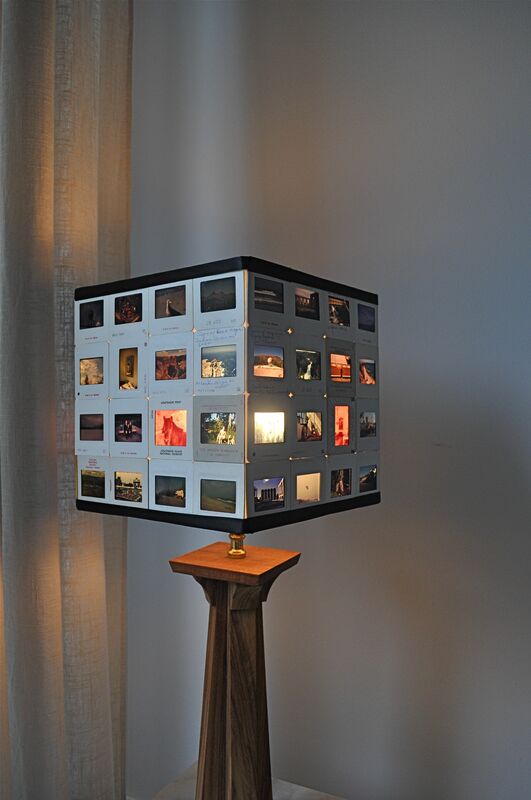 You might need a lampshade frame too. A cool idea can be to trick the eye and to imitate wood with paper. 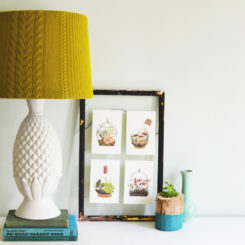 You can use this trick when you’re making a lampshade or when you want to give an old one a makeover. 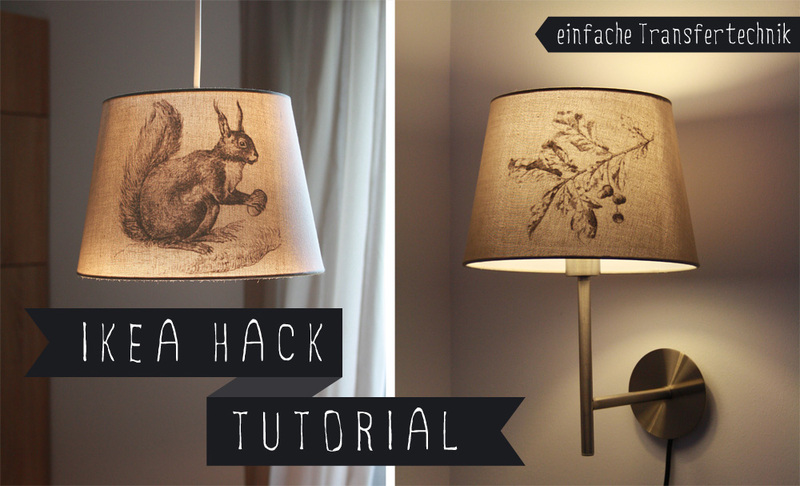 It’s really easy and all you need to do is apply paper over an old lampshade. 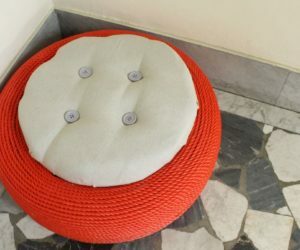 You can also decorate the base in the same manner. 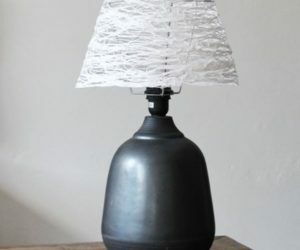 The shade is indeed the element that usually matters the most on a lamp but that doesn’t mean you can’t also be creative with other parts. 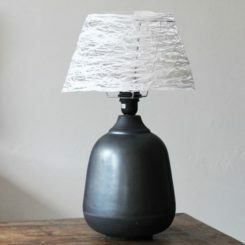 A cool idea, for instance, could be to customize the base of a table lamp. A mason jar could do the trick. You can paint it or you can fill it with small pebbles, sand, coffee beans and other things. 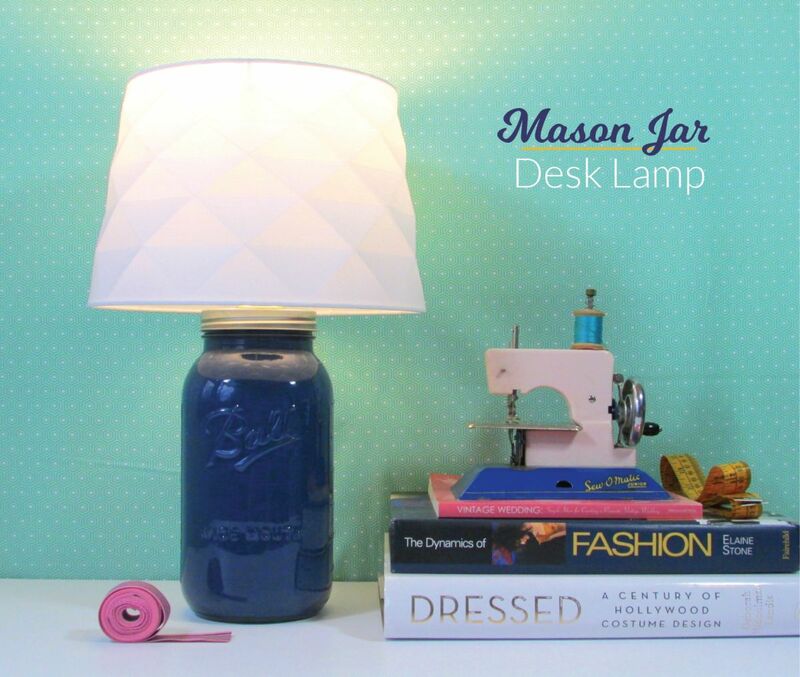 Use this strategy to make a unique mason jar desk lamp. 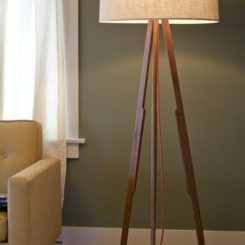 One of the easiest ways to obtain a unique lamp design is by customizing an existing lampshade using fabric. 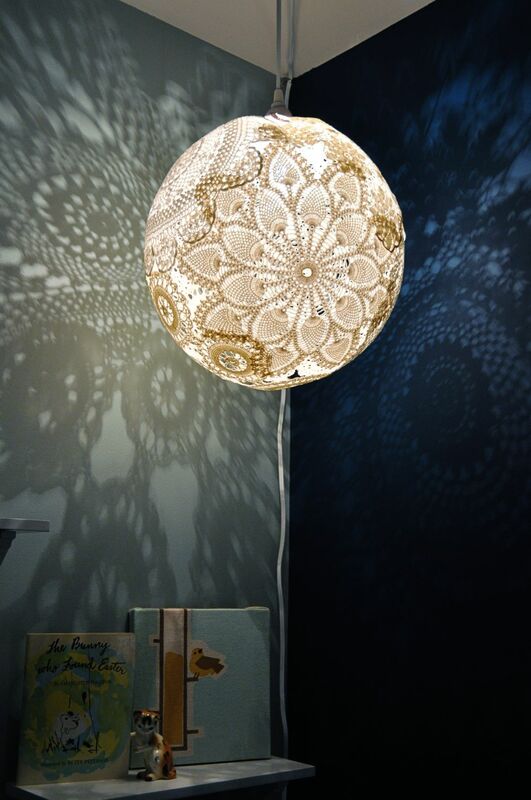 Pick a pattern or a color that best captures the style which you’re trying to imprint on the lamp. 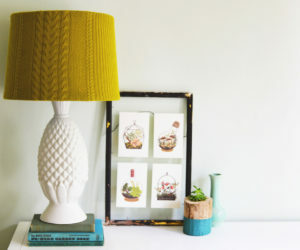 It’s important to give the lamp its own unique look but it’s also important to look at the big picture and to make sure that the new lampshade doesn’t clash with the surrounding decor. As it turns out, covering the lampshade with fabric is the easy part. There are all sorts of variations of the ideas we just presented, each one focusing on a specific detail. This sweater lampshade for example stands out by looking extra cozy. 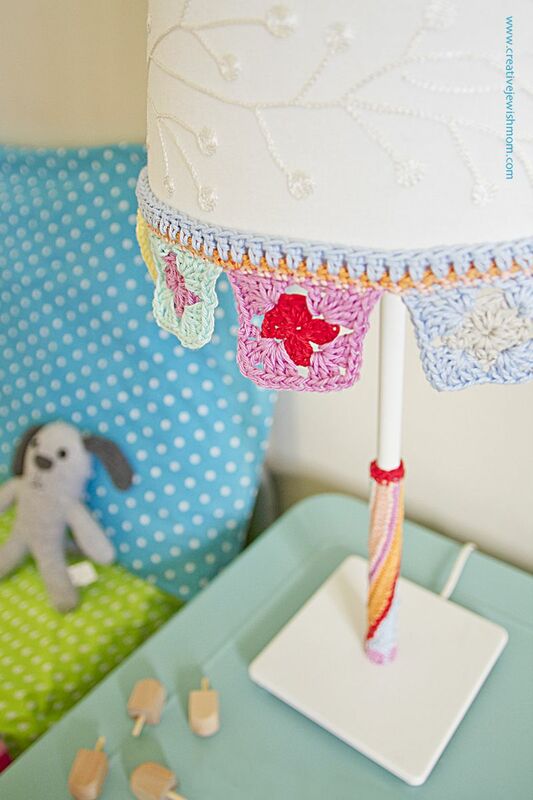 You can make something just as cute and lovely for your own home. 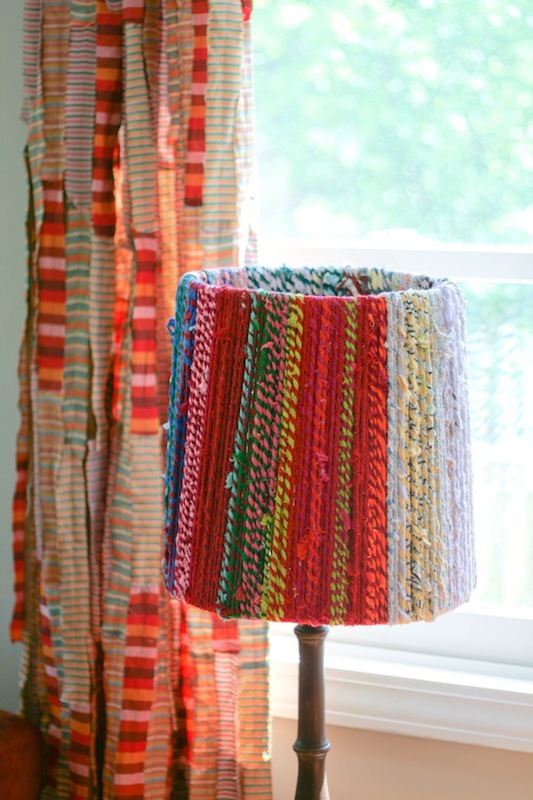 All you have to do is sacrifice an old sweater and use it to cover up an existing lampshade. You can find all the details on . 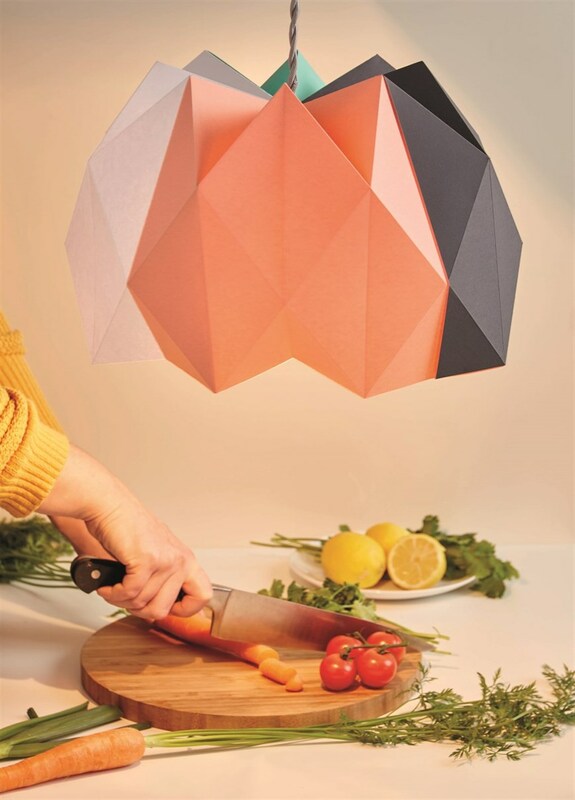 Origami lampshades are among the most interesting and most fun ones and, as it turns out, they’re also pretty easy to make. Of course, this depends on the design you choose. The one shown here is simple enough to be aced by everyone. As you can see, it’s made out of wallpaper, not regular paper. 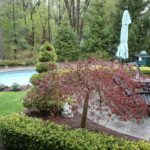 This helps to give it a more firm and durable structure. 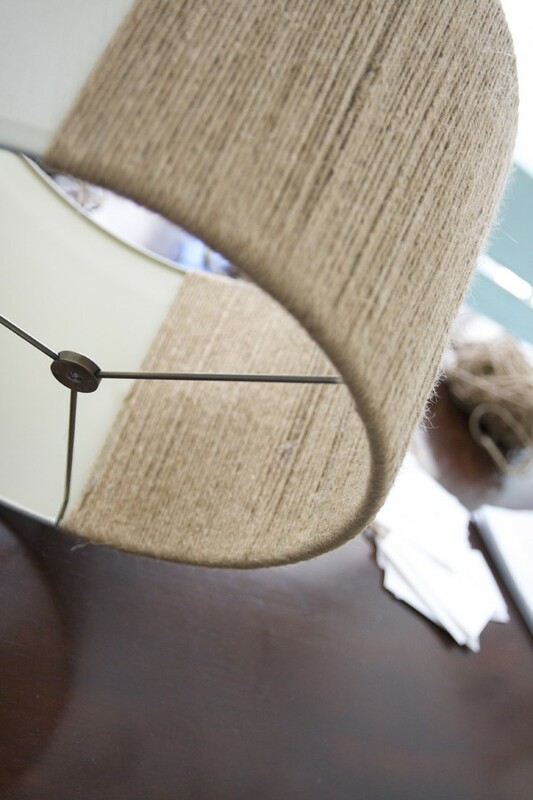 You’re probably familiar with this type of lampshades. 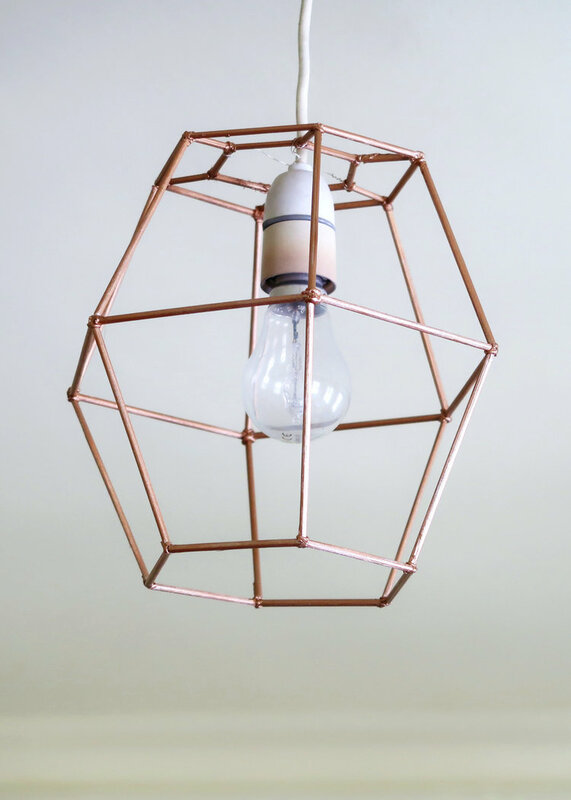 They’re very chic, metallic, graphical and they look amazing when paired with Edison light bulbs. What you didn’t know is that you can craft your own version out of wooden skewers. 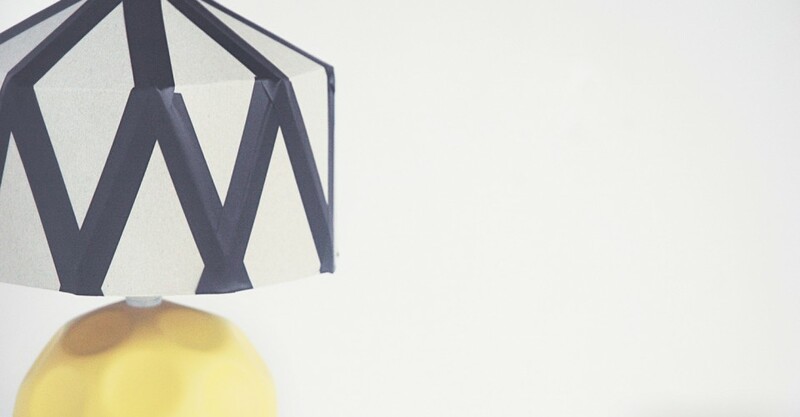 That’s right, this geometric lampshade is not metallic….that’s just spray paint.You can find out more about how to put something like this together on . 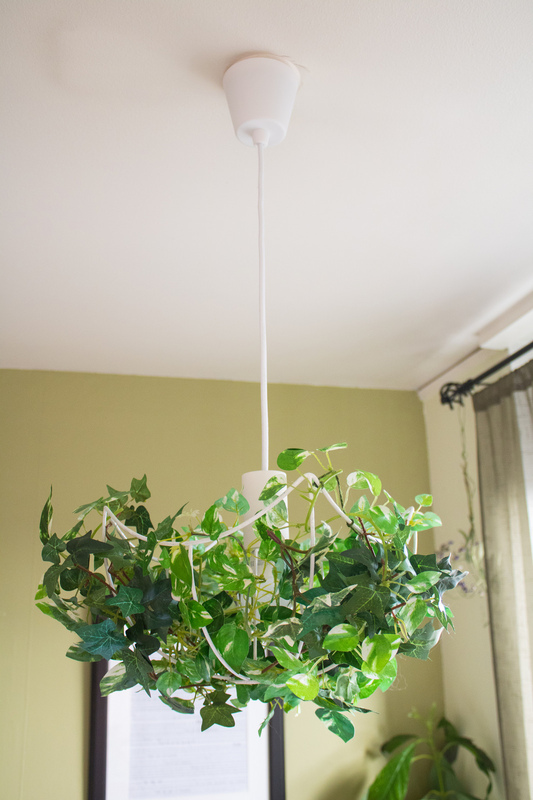 Another really cool idea is to use faux plants to make a truly unique lampshade. It’s something that we learned from . You can get really creative here so feel free to choose any type of faux plants you want and to arrange them however you think it’s most beautiful. 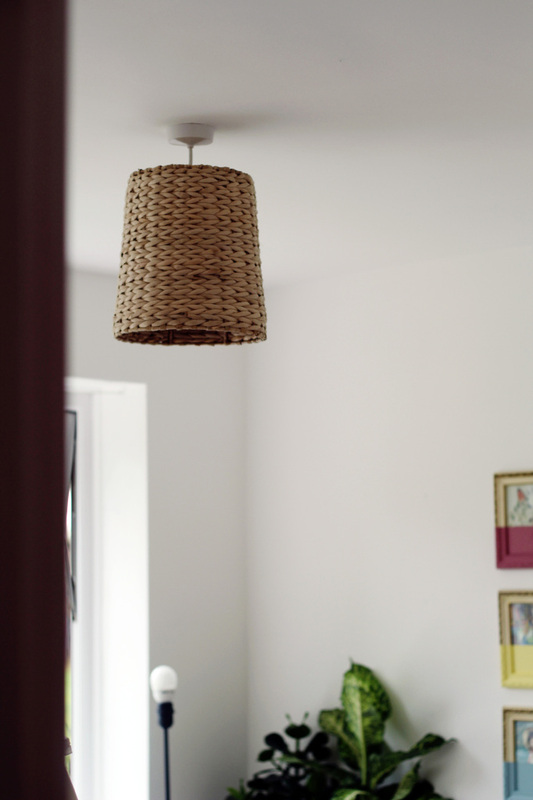 Keep in mind that the lampshade needs to be practical as well as beautiful so find the balance between these two elements. Wooden beads can also be an importance resource when designing custom lampshades and even chandeliers. 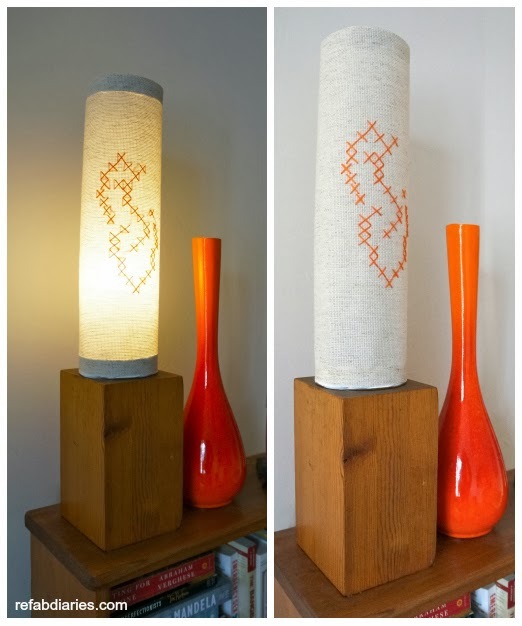 You can find an interesting tutorial on how to make a beaded lampshade from scratch on . 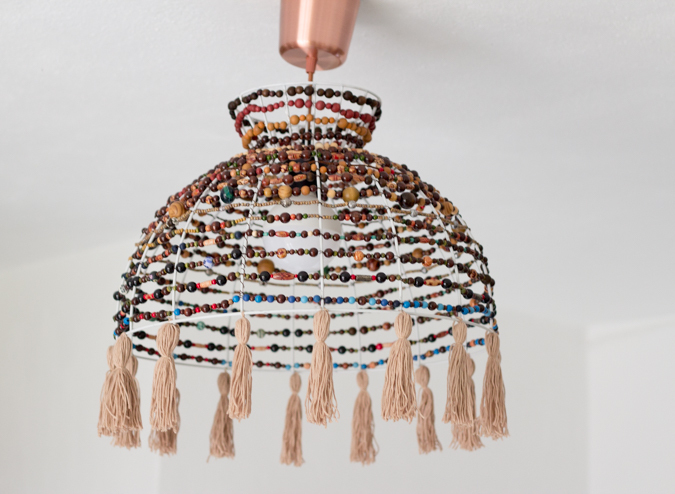 The project starts with an old lampshade frame which is decorated using various types of wooden beads on thin wire and tassels made of yarn. 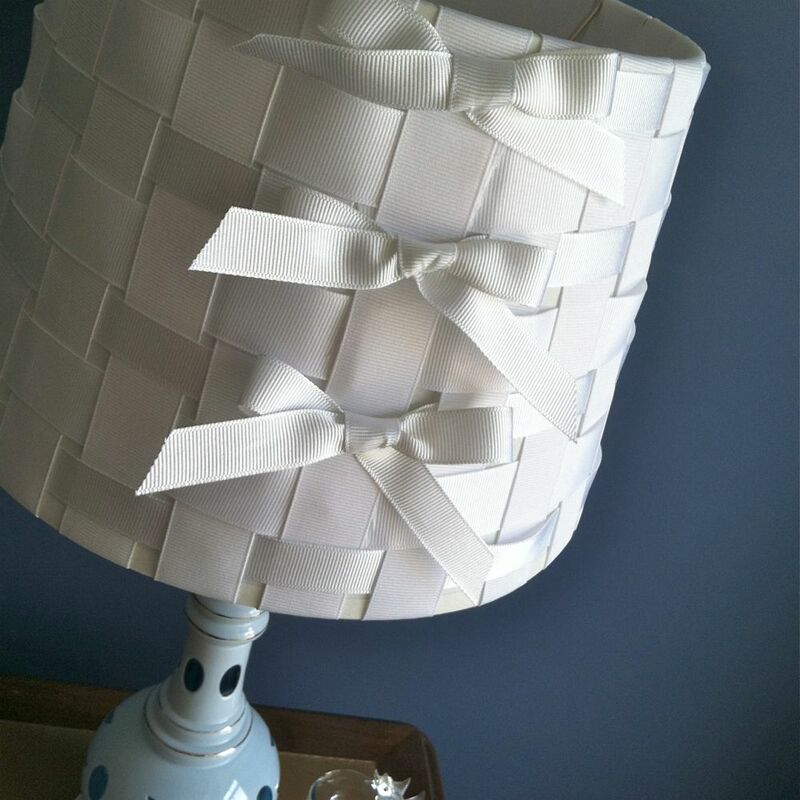 The accordion folds on this lampshade are reminiscent of vintage lamps and have a really special charm that’s hard to obtain when dealing with DIY crafts. In this particular case, aluminum foil was used hence the metallic finish. 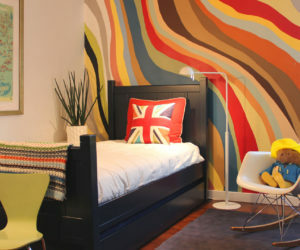 You can replicate the look using other materials that are similarly flexible and easy to work with. Find out more details on . 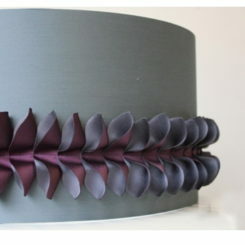 You’ve seen how easy and effective it can be to decorate the outside of a lampshade but what about the interior lining? 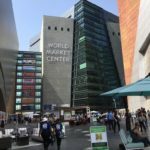 That can be customized too and, as it turns out, there are some really cool ideas you can use for that. 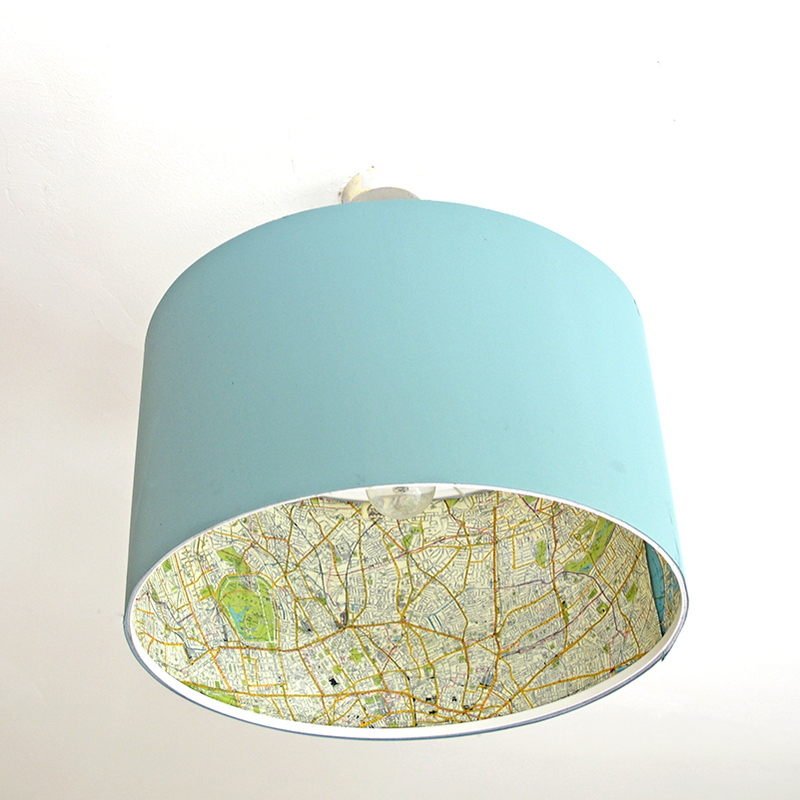 One is to decorate the interior of the lampshade with maps. The inspiration for this comes from . 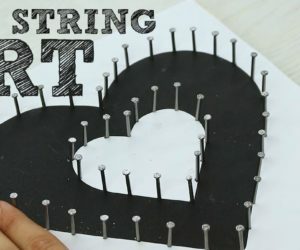 Here you can find a detailed tutorial related to this project. 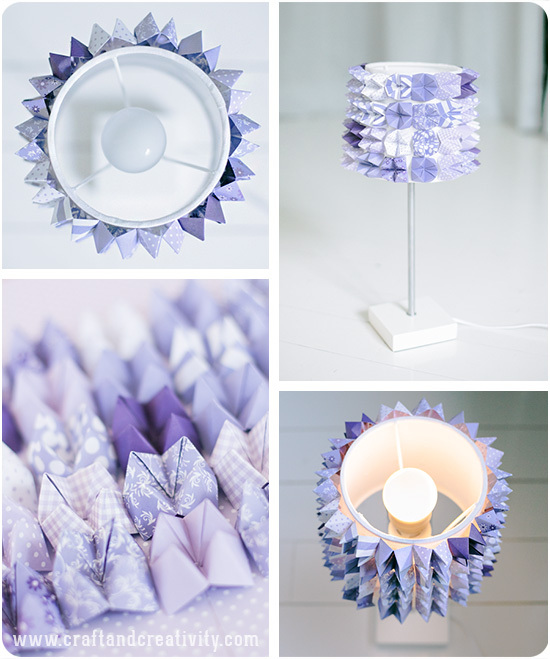 Paper and cardstock are incredibly versatile when it comes to handmade home decorations and accessories. 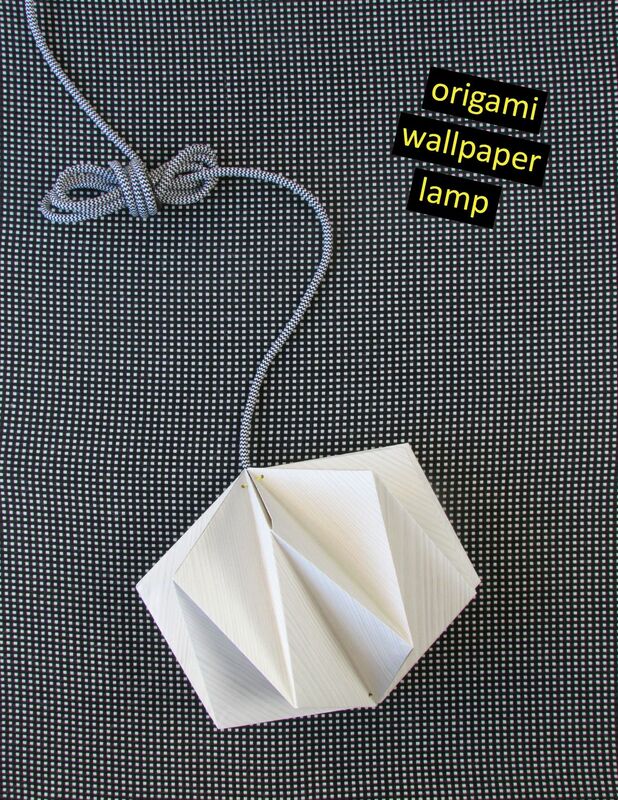 One of the things you can make using cardstock is a folded origami lampshade. 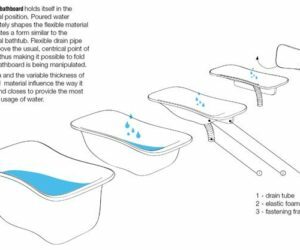 It’s relatively easy to make and once in place it looks incredible. Follow the instructions on to find out all you need to know about the folding technique and feel free to combine any colors you like. 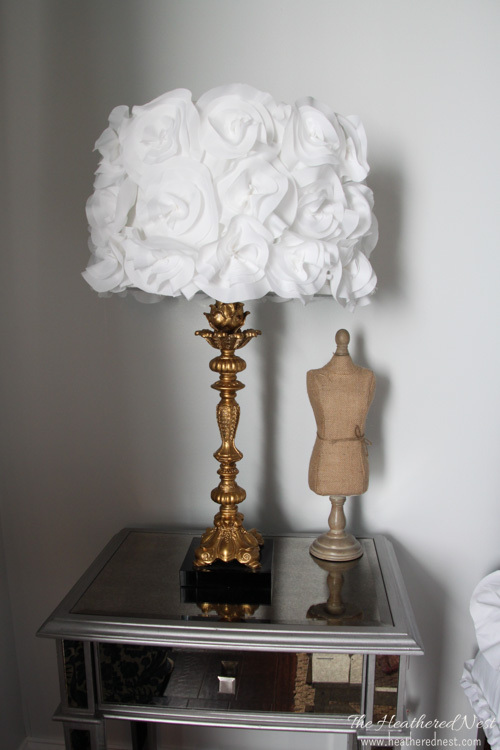 With patience and a bit of time you can do a lot of cool things, including a very stylish and elegant lampshade. Let’s talk specifics. 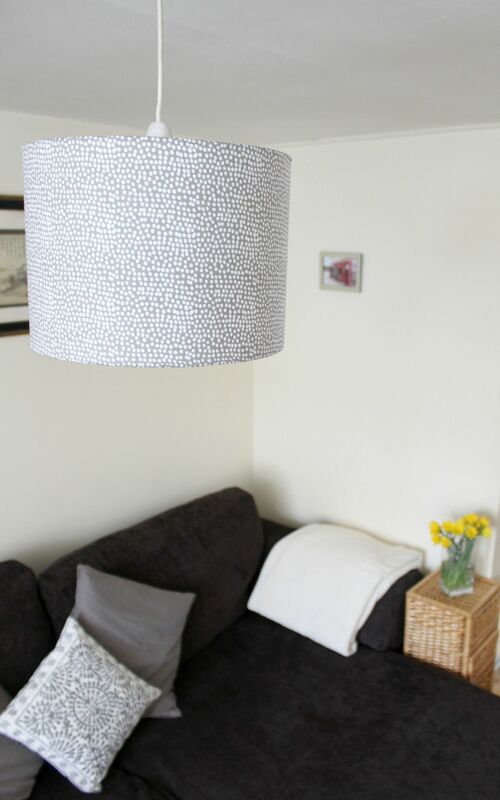 This gorgeous lampshade featured on is made using thin fabric, a circle cutting tool, a hot glue gun and a plain and simple lampshade in need of a makeover. Time and patience are also important if you want to make a geometric lampshade out of cardboard, more specifically the one featured on . 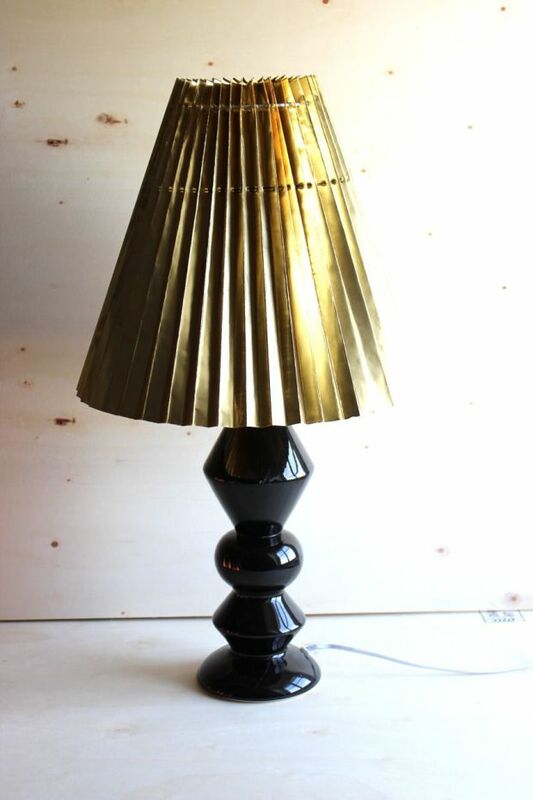 The polygonal pattern is pretty cool and, as you can see, there are definitely a few imperfections visible to the naked eye but that just makes the lampshade more special, giving it an authentic, artisanal look. 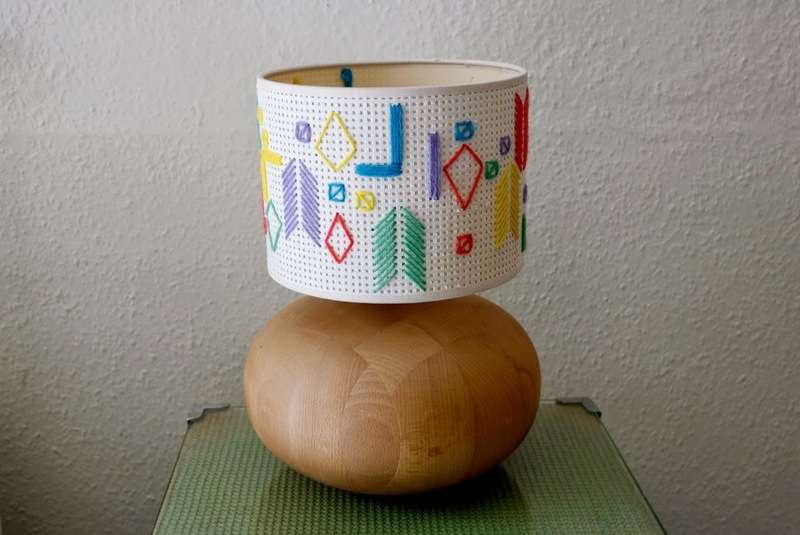 Now that we’ve agreed that stitching is fun and great for customizing lampshades and all sorts of other things, check out another funky project based on the same idea. It comes from and it only requires a few simple supplies: two cylinders cut from a can, cross-stitch fabric, acrylic paint, glue and embroidery floss. 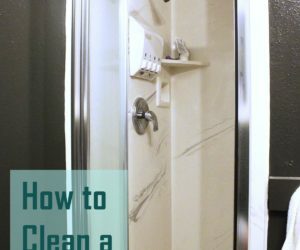 There are lots and lots of ways to improve or to personalize this project. 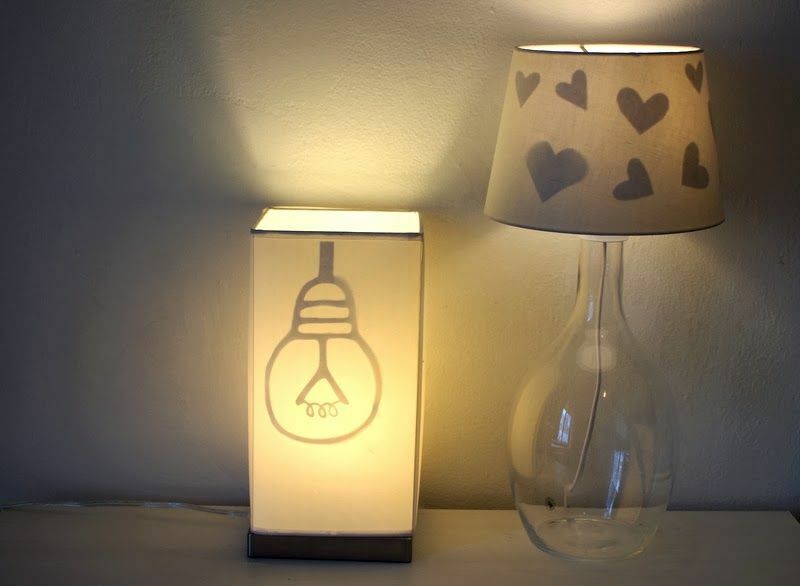 A really cute and at the same time very simple way of customizing an existing lampshade is to just stick some paper, felt or cardboard cutouts on the inside of the lining so their shapes can be seen on the other side. You can attach them with double-sided tape and you can pick any theme you want. Personally, I like butterflies so I made some out of paper and I decorated by floor lamp with their silhouettes, just as shown on . 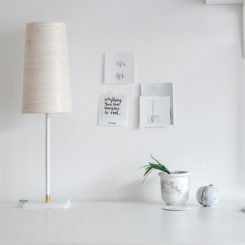 A plain and cylindrical lampshade is ideal if you want to dress it up as shown on . All you need here is ribbon…lots of it. Figuring out just how much ribbon you’ll need can be tricky. 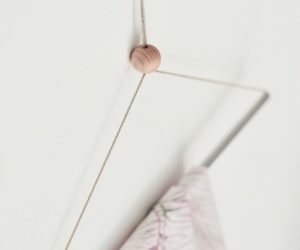 When calculating this, keep in mind that you’ll need to wind the ribbon vertically around and around the lampshade and then you’ll have to do the same thing horizontally. 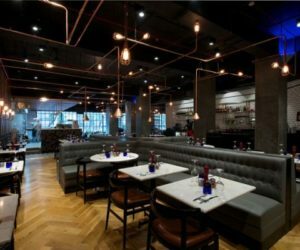 Geometric, graphical and abstract designs are often associated with the contemporary style and that’s usually due to their minimalism. 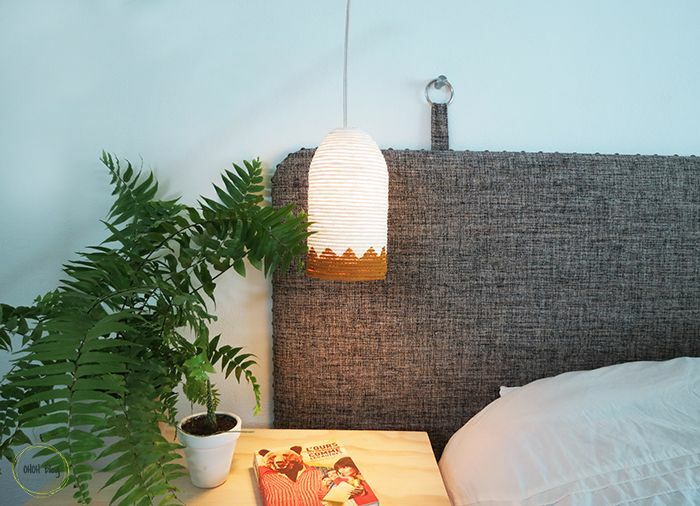 It’s this simplicity that we find most charming in the case of this DIY lampshade featured on . All you need in order to make something just as cool is some hollow metallic tube and some twine. Thread the twine through the tube and then start bending. Don’t you love jute? 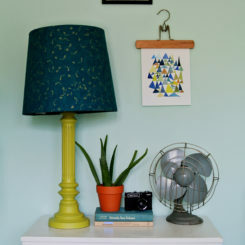 We’re in love with its retro, shabby-chic look so naturally we just had to show you how to use it to make a simple lampshade look awesome. Expect a simple and cozy look with a little bit of coastal charm, much like what you see here. 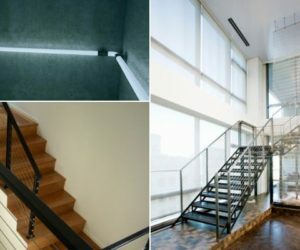 You can find all the details related to this home project on . 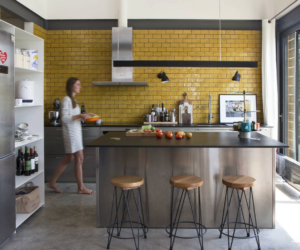 There are obviously numerous possible variations of this project but for some reason we like it just the way it is. 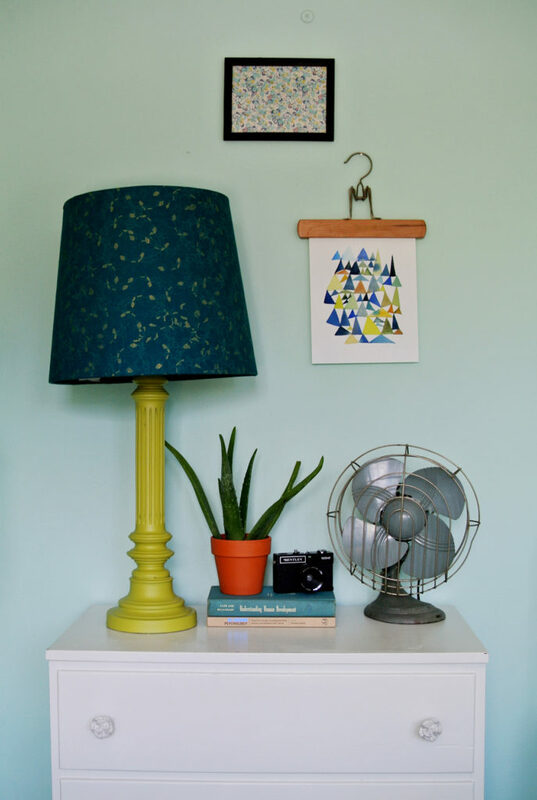 There’s another really cool DIY lampshade idea that we absolutely fell in love with. It comes from and it has to do with doilies. Can you believe it? Doilies…those outdated things grandma used to make look so stylish, delicate and inspiring it’s hard not to be amazed. Sure, it takes about 24 hours to complete this project but it’s all worth it. Here’s how it all goes: you take a balloon, you inflate it (ideally it should be round) and then you place the doilies on the balloon and you paint them with school glue until they’re soaked. Let them dry for 24 hours and if necessary touch up some areas that aren’t stiff enough and let the doilies dry some more. When it’s done, blow up the balloon. 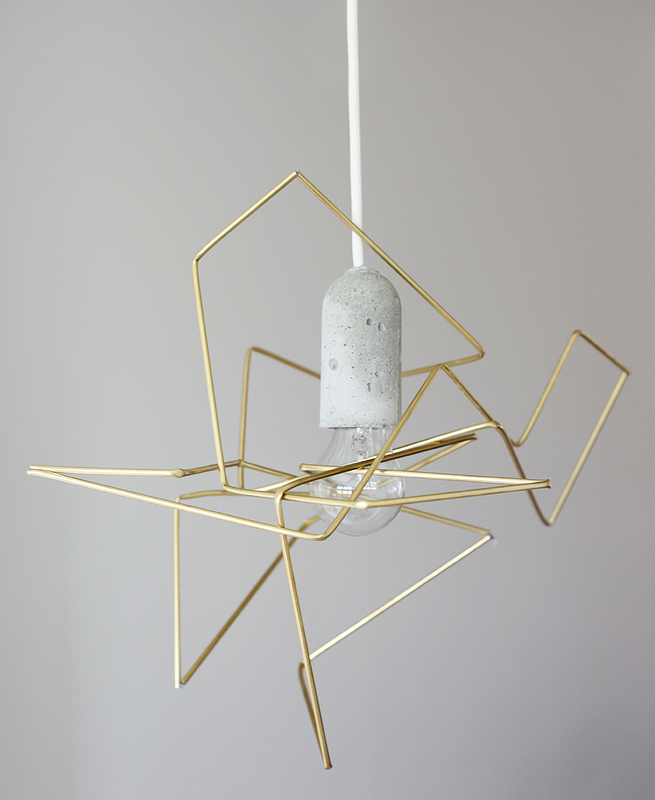 Don’t forget to leave a hole for the lamp kit to fit through at the top if it’s a hanging pendant lamp you’re making. Have you ever played with transfer paper? You can do a lot of cool things with it. 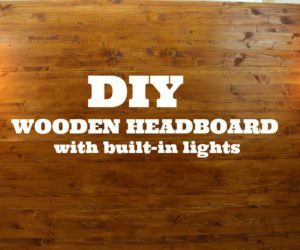 Practically it opens up a window to tons of awesome DIY projects. 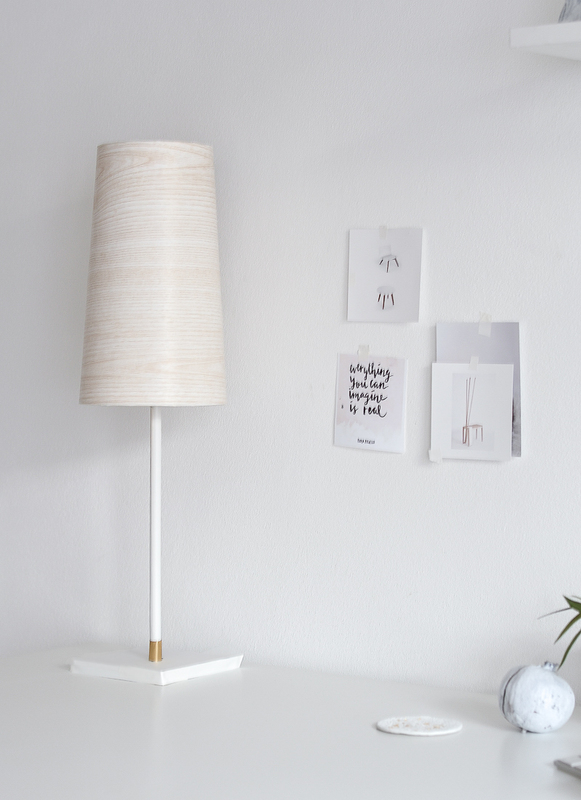 Today we’re only focusing on how you can use it to customize a lampshade. 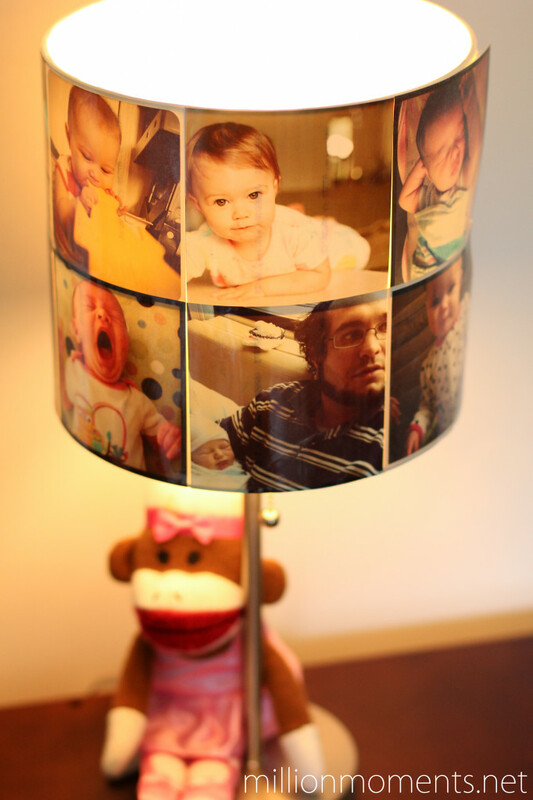 Actually, the most difficult part about it is finding a theme and then a specific image, silhouette or pattern that you want to display on your lampshade. Find out more on . Here you can also find this cute squirrel printable. 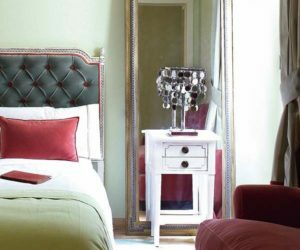 The Controversial Round Beds – A Bold Statement Or An Unpractical Choice?